Home / Okada / Okada Manila / racekit / racekit claiming / Runrio / Runrio Trilogy / Runrio Trilogy 2017 / Runrio Trilogy Race Series / Runrio Trilogy Race Series 2017 / Where and When to Claim your Runrio Trilogy 2017 Leg 1 Racekit? Where and When to Claim your Runrio Trilogy 2017 Leg 1 Racekit? 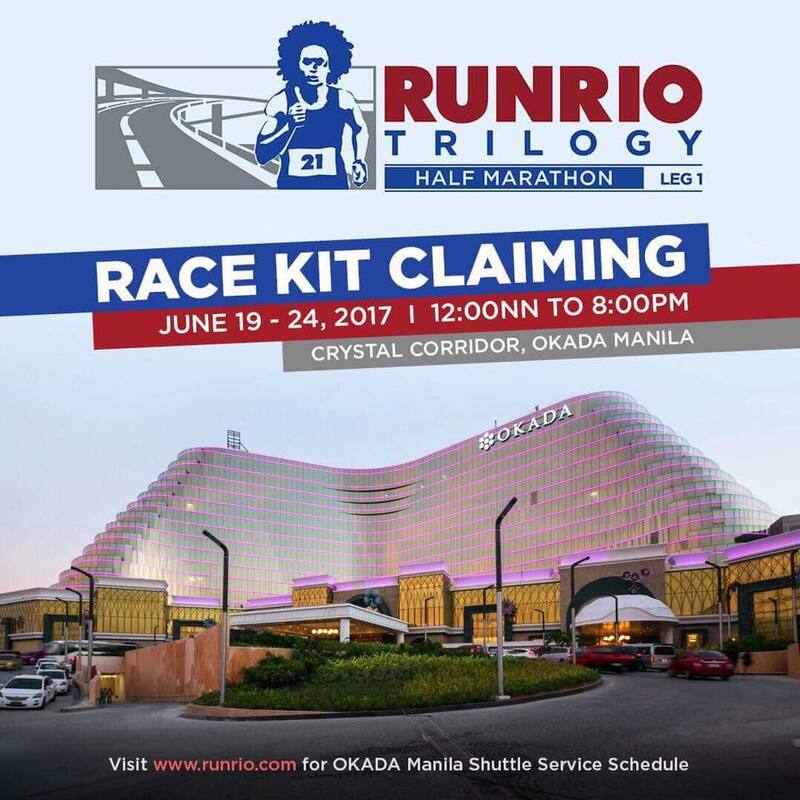 Still most of the runners who registered to the 2017 Runrio Trilogy Leg 1 Half Marathon were asking when and where to claim their racekits. Yes, claiming of the racekits started last Monday, June 19, 2017 at Okada Manila. And it will be until June 24 from 12 noon to 8pm. Where in Okada? It's on the Crystal Corridor, Okada Manila. Just bring a valid ID to claim your racekits. In case you will claim the racekit of your friend in his behalf, kindly bring an authorization letter and his ID. And if you really have no time to claim your racekits from June 19 to 24, you may still claim it on the race day. There will be booth setup for claiming of the unclaimed racekits!